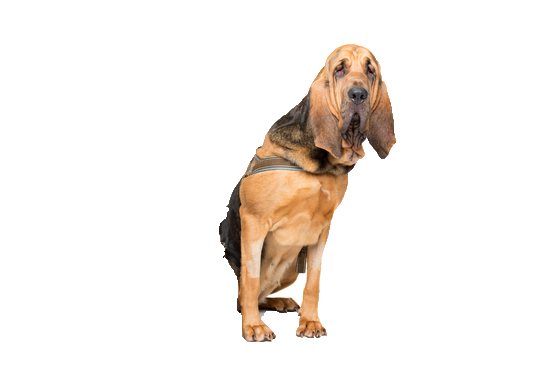 Calm, gentle, and placid at home, your bloodhound is a tracker heart. While he can be stubborn and independent, he is gentle and loves to be around people and is generally great with children. With his breed traits in mind, good and patient training, obedience and recall is paramount to ensure that this instinct is controlled as much as possible when out and about with him. The owner should bear in mind that this innate desire to follow a scent will never be quashed though, and when at home a securely fenced garden is a must. We have some great training treats available to help make the process more rewarding for both of you.